The Corvette was new to them, it’s curves and details made sweeter by what it carried. Linda sat patiently, letting him appreciate the sight of them both before the trip began. The Redwoods called, and they were of a mind to answer. He relished driving his two beauties around, and eleven days on the road together was a gift. A long-distance car hauler by trade, and a member of more than one Corvette club, driving was in his blood, and he loved sharing this with Linda who was his caretaker until the end. Edward Dean Mott, more often known as Ed- or “Fast Eddie” in his youth, left this earth on his newest adventure, a solo trip, on January 22nd, 2019. Born in the summer of 1944 to Arleigh and Dolly Mott, Ed spent his best years in Buckley. He raised his children there, sharing with them his love of fishing, boating, and baseball. His son, Kraig, followed Ed’s passion for fishing so much so, he received his Bachelor of Science in Biology degree from EWU and became a Fisheries Biologist. Ed left a lasting impact on the plateau area, as well. An avid baseball lover, he was actively involved with kids and their teams. Seeing a need for a competitive baseball league for children, outside of public schools, Ed started the Chinook Little League, in the early 1990s, in the garage of the “red house” on Mason Street. His dream has given life to the dreams of hundreds of children since the days in that old garage and will stand as his contribution and legacy to the families of this community. 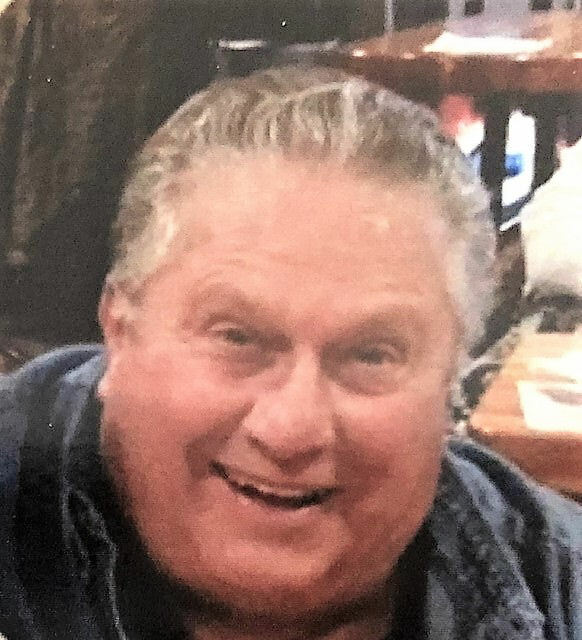 Ed was a long-time member of Teamsters Local 741, developing and maintaining many friendships that have spanned decades. He participated in the WTO march in 1999 with his son, Kris and daughter Karlena, and walked picket lines to support himself and his brother union members. His passion for the labor movement and worker’s rights was an inspiration to all. His son, Kris, was inspired so much so, he received a Bachelor of Arts in Labor Studies from NLC and now represents workers. An avid Seahawk’s fan, Ed could be found at the local Eagle’s Club, dressed in Hawk’s gear, watching the games with his many friends, hosting friends, neighbors, and family in his memorabilia filled “man-cave,” or enjoying the game, long-distance, over the phone with his son, Karl, in New Jersey. Ed was a United States Navy Veteran who enlisted in 1961 and served aboard the USS Uhlmann DD-687 during the Vietnam War. He was Honorably Discharged in 1966, and this was his point of pride and honor. It was also the inspiration for son, Karl, to join the US Navy right out of High School where he served aboard the USS Seattle AOE-3. Of all of his passions and pursuits, he may have gotten the most joy out of being called Grandpa by his beloved grandchildren. Whether nearby or far away, his grandchildren were always on his mind and in his heart. Those left behind are his lovely wife, Linda Mott; his children Mike Bess, Kellie Carpenter, Karl (Kimberly) Mott, Kris (Shannon) Mott, Kraig (Amanda) Mott, Karlena (Jake) Wolhart; his much loved grandchildren Kayden Carpenter, James Mott, Emery Mott, Jake Mott, Micah Mott, and Koraline Wolhart; his siblings John (Irena) Mott, and Sally (Fred) Gaumont; and nieces Sunny and Tyla Bullets. Remembrances for Ed can be made to ALS Foundation. For those interested, a military commital will be held Friday, June 7, 2019 1000 am at the Tahoma National Cemetary in Kent, WA.